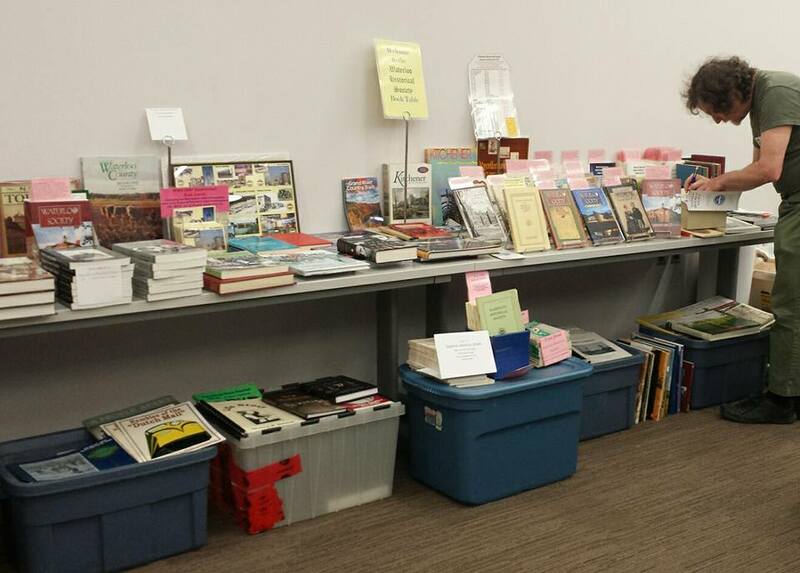 Over the past decade, Waterloo Historical Society has received many gifts of books from members who are downsizing. For that reason, several years ago, WHS created its Book Table to help connect these donated and unwanted local history books with WHS members. The Book Table was set up at our meetings and outreach events and proved popular with attendees. Over time, however the storage shelves have become crowded and the topics have spread outside Waterloo Region’s boundaries. These titles are now available for purchase by anyone: WHS members as well as non-members. The following listings show books broken down into several geographic and topical areas. From time to time the prices may change in these listings. In a few cases, new books are on consignment from their WHS-member local authors who contribute a percentage to WHS. The Book Table does not sell new books from non-members unless they are donated. Starting with the worst condition, the listings’ descriptions are “poor” “fair” “good” “very good” “fine” “exc” [=excellent] and “new”. Unless noted as “new” all these books are in used condition and will show varying signs of wear. Noticeably dirty, moldy or musty books are not sold and neither are those with detached covers, broken spines, significant highlighting or missing pages. Those marked “poor” or “fair” are basically just for reading or research and may contain considerable flaws. The majority are marked “good” “very good” “fine” or “exc” and are in acceptable shape. In the listings, h/b means hard bound with cloth covering; w d/w means there is a dust wrapper on the book; p/b means paper bound either in stiff cardboard, composite, plastic or, in a few cases, paper. Books with a plastic or metal coil binding are noted. The date shown is that of publication. Not all books are first editions. Those years in italics are approximate publication dates. Contact the publication chair as shown below and state what titles are of interest. If you wish the book mailed, you will pay postage plus a small handling charge as well as the cost shown. If you wish to pick the book up at one of our meetings or arrange pick-up in Kitchener, the publication chair will inform you of location, date and time. There will be no extra charge in these cases. In most cases, only one copy per title is available so multiple orders are not accepted without confirming beforehand with the publication chair. Send no money until told to do so. Waterloo Historical Society does not have access to PayPal or credit cards. Payment in person is cash or check. Payment from afar is check or money order. All funds raised go to Waterloo Historical Society. WHS welcomes donations of suitable books for the Book Table. Contact the publication chair as shown below. The Book Table accepts mainly history, geography, biography, nature and art books concerned with Waterloo County / Region life – or any books authored or illustrated by people from the region. Also acceptable are local history titles from across Ontario. 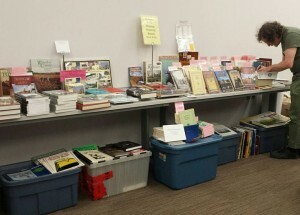 Waterloo Historical Society does not purchase books for the Book Table. 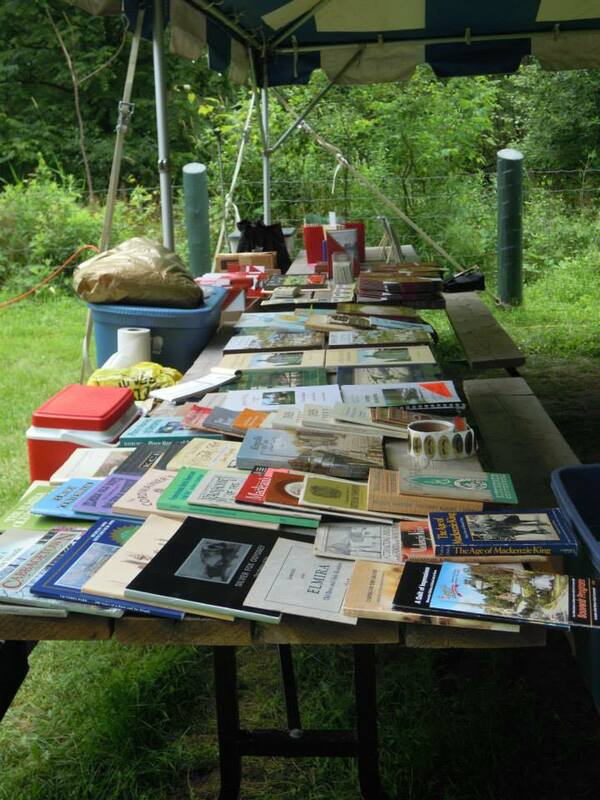 The Book Table is set up at WHS public meetings and area historical events with a small selection of these books. WHS reserves the right to charge different prices for books at the meetings. To enquire or order items from the WHS Book Table, contact rychmills@golden.net or 519-742-4990.